It feels good to get back in the saddle on a Monday morning. I love the contests and the reader response to all the Primal challenges, but with our regularly scheduled Dear Mark sessions, I’m actually responding to real queries from you guys. You reach out to me, and I reach back. In the process, you maybe learn something and I’m forced to think about new intricacies of old subjects (or switch stances altogether, if new evidence demands it). Overall, everyone refines their thinking. And that’s always a good thing. With that said, let’s get down to the questions. I field one concerning a recent spate of troubling vitamin studies and give my take on the matter. I give a little advice on generating new mitochondria (cause there’s nothing more annoying than old, out-of-date, behind-the-times mitochondria incessantly talking about the good old days and calling you by your brother’s name), and then I talk a little (heavy emphasis on “little”) about tomorrow’s book launch deal. Hey Mark, in the past week, I’ve seen a couple studies (men, vitamin E and prostate cancer; women, multivitamins, and mortality) that seem to suggest that vitamin supplementation might not be as beneficial as we thought. What’s the scoop? The first study seems to suggest that taking a basic vitamin E supplement increases the risk of developing prostate cancer, because that’s exactly what taking vitamin E did: it significantly increased the risk of prostate cancer. So does that mean vitamin E, a well-known antioxidant, is actually bad for you? Not exactly. A prudent person would almost never choose to take 400 iu of vitamin E as alpha tocopherol by itself (i.e. with no other antioxidants) for long periods of time. Yes, vitamin E is an antioxidant, but when it donates an electron to neutralize a free radical, it becomes a pro-oxidant (temporarily a bad guy). OTOH, if you take vitamin E along with a blend of vitamin C and a host of other antioxidants, the vitamin E will be recycled back to an antioxidant again and everything is copacetic. 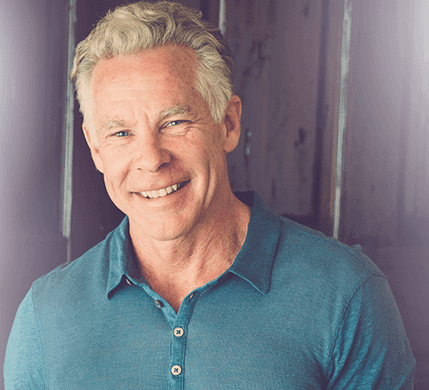 That’s why I developed my antioxidant formula with a broad spectrum of vitamins, minerals, and antioxidants – to promote synergies among the micronutrients. That’s also a major reason why in this study the cohort that took selenium along with the E had a lower incidence of prostate cancer. “Interestingly, men who took Vitamin E and Selenium together were not at higher risk, so there must be some interesting biology there yet, but we haven’t figured it out,” said Dr. Eric Klein, Study Researcher with the Cleveland Clinic. Takeaway? If you’re going to supplement with vitamin E, make sure you’re taking selenium, vitamin C, and a host of other quality antioxidant sources, so you get the synergistic effect. Or, eat food that contains vitamin E (almonds, red palm oil are some of the best sources), because that food will usually contain the necessary co-factors. It’s simply ridiculous that the government would spend $130 million to run a study confirming what most of us in the supplement industry have known for two decades. The second study found that multivitamin usage was positively associated with mortality in older women. Broken down by specific micronutrients, zinc, magnesium, vitamin B6, folic acid, copper, and (most strongly) iron were linked to higher mortality, while calcium was not. Sounds horrible, right? But then you look at this other, recent “multivitamin and mortality” study, which distinguished between “baseline users,” “baseline non-users,” and “never-users.” A baseline user is someone who had been taking supplements before the start of the study. A baseline non-user is someone who had been taking no supplements before the start, but who began taking them during the study. A never-user is someone who took no supplements at all, neither before or during the study. Baseline users had the lowest mortality (both all-cause and from cancer). Never-users had the next lowest mortality, while baseline non-users who began taking supplements during the study were the most likely to die. Who else is most likely to start taking supplements later in life? Sick people. Unhealthy people. Who’s more likely to die? Sick, unhealthy people. In fact, the authors of the study conclude that a “sick user effect” likely explains the results. In the original multivitamin study, no distinction was made between baseline users and baseline non-users. They were all packaged together, and I suspect the sick user effect is also at play in this one. Furthermore, as the Jaminets point out in a recent post, the authors also failed to adjust for the age of the participants. That older people tend to die more often than younger people is a pretty basic concept and a function of the aging process, so you’d think it would be included in their “multivariate analysis.” The study also showed that older people tended to take more supplements than younger people. And indeed – when you do adjust for age, select supplement usage actually lowered the risk of mortality. 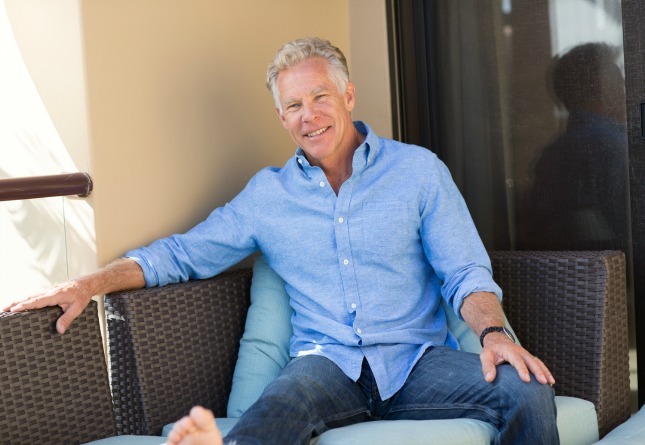 Mark, I’ve been hearing a lot about mitochondrial dysfunction as a cause or complication of obesity lately… do you know of any easy steps that might positively affect our mitochondria? No pills, please. As natural as possible. Sure – lift heavy things (especially if you’ve been moving frequently at a slow pace) and run really fast for a short amount of time. If that sounds like my stock answer, and you want a bit more justification, read on. I’m always browsing the exercise literature for new studies, and, since mitochondria is the topic du jour, I’ve been looking for research indicating interesting, simple ways to boost their function. Mitochondria are “cellular power plants,” and mitochondrial biogenesis (or the manufacturing of new mitochondria) is vital for maintaining good health as you age. Two recent studies address this mitochondrial biogenesis stuff head-on. The first looked at how a high-intensity, low-volume bout of interval training affected mitochondrial biogenesis. Participants engaged in four 30-second “all-out” cycling sprints, interspersed with four minutes of rest – plenty of time for full recovery. Afterward, enzymes and proteins associated with the creation of new mitochondria were significantly up-regulated in all subjects. In the second study, authors examined how a bout of resistance training affected the mitochondrial biogenesis induced by light endurance training. They figured that adding a nice dollop of strength training to the stress of distance cycling would dampen the mitochondrial biogenesis; they were wrong. Cyclists (1 hour at 65% of VO2 max) were pitted against cyclist-lifters (1 hour at 65% VO2 max + heavy leg presses immediately after), and the latter showed evidence of greater mitochondrial adaptation. This is basic, Primal fitness, folks. Sprinting is an absolute necessity, provided you’re physically able. And it doesn’t have to be all-out sprints on a track. Cycling obviously works, swimming works, Grok crawls probably work. It’s about output and recovery – both must be maximized for a sprint to be most effective at generating new mitochondria. Make your sprinting bouts count, recover completely, and then do it again. And if you’re going to do light cardio, toss in some heavy lifting, too. Emphasis on “light” cardio; don’t do heavy squats and deadlifts after a half marathon. Sprint once a week, lift two or three times a week, walk every day. It is that easy! Mark, I heard you are going to be giving away a bunch of free gifts to people that buy your new book on Tuesday. Is it true? Do tell. Any way I can help spread the word? I can’t give away any specifics until tomorrow, but I will say this: wait until tomorrow to place your orders for the new book. While I’ll welcome any orders I receive anytime, it’s in your best interest to hold off. You’re gonna get some awesome stuff and you’ll help spread the word by contributing to the critical mass of orders. If you weren’t around for the last time we did this (for The Primal Blueprint), it was a lot of fun. We made it all the way to the second overall spot on Amazon.com back then, and I’d like to do better this time. I think we can – with your help. I’ll be sending out a newsletter tomorrow morning with all the special offer details. Forward it on to your friends and family. They’ll thank you for cluing them in. Share tomorrow’s blog post on Facebook or Twitter. If you are a blogger, use this contact form to inquire about a special way you can help and I’ll email you all the details. Last, but not least, grab your own copy of the book and collect your free gifts! Stay tuned! Until tomorrow, dear readers. Thanks for reading! Congratulations on the new book! I can’t wait to read it! That study about women and multivitamins looked suspicious to me (as do all “medical” or “scientific” studies sending PR out to the public). I disregarded it and thought that I would see it addressed here before long. To me the study “proves” that real food will always win. Food has all kinds of minerals, vitamins, antioxidants and the big guys – the macronutrients. While the “Natural News? media makes a big deal about the conflict of interest between drugs companies and drug studies, they seem strangely silent on the blatant conflict of interest between supplement manufacturers and their recommendations of vitamin products. I respect Mark’s judgement enough to know that he will avoid any conscious bias, but it must be hard for him to take a completely neutral view of research that casts doubt on the wisdom of consuming his products. There is no evidence that taking extra vitamins is good for you. The best we can hope for is that they might be harmless, but these and other studies point to the possibility that unnaturally high doses of purified vitamins might be harmful. Just eat a healthy diet, with lots of fruits and vegetables. This isn’t rocket science. I’ve always believed that a multivitamin is probably harmless if you take the recommended amount. But, to me, as I’ve said twice now…. this study proves that whole food wins again. Who food has all kinds of nice guys – not just 1. Too much of anything is bad folks. How much? It depends. This now reminds me of fish oil and robb wolfs old recommendations… on his earlier podcasts I was always extremely skeptical of the amount he was recommending. I thought it was insane. Sure enough, the fish oil calculator no longer exists. It’s best to limit your omega 6 intake then to take 10 grams of fish oil. I’ve decided to NOT supplement with fish oil anymore. I’ve decided to simply limit my 06 intake and to choose to afford fish. Mark, I certainly hope you end up number one on the Amazon bestseller list. However, that spot is currently taken by someone else who also “thinks different.” To even be on the same list as Steve Jobs is rarefied company. Interestingly you both have been successful going against CW positively changing peoples live permanently. I have been mixing up a protein shake regularly in my water bottle at work after my lunchtime workout. The protein powder settled and hardened in the bottom of the bottle so I brought it home to clean it and my wife said, “Imagine what that powder is doing to your kidneys if I can’t get it out of a bottle with piping hot water”. Needless to say, the protein mix went in the garbage today. We got a little Grokky this weekend… did a rock scramble in upstate NY that culminated with a climb up through a crevice that challenged my primal fear of heights and claustrophobia… IT WAS AWESOME!!! It’s a good thing your stomach isn’t filled with hot water, then. ??? I don’t follow ??? My bad… hydrochloric acid is 0.5% of gastric acid. Had to look that one up. Just to play devil’s advocate, you could say the same thing about congealed fat or baked-on sauces. I am excited to buy the new book. Is this going to be sold as an e-book? I use Amazon Kindle books on my iPad. I’m guessing that free gifts won’t be coming my way if I order an e-book from Amazon? That’s right, Kate. The special offer won’t apply to ebooks, unfortunately. Boo! 🙂 Dead trees are definitely not where it’s at any more. I’ve been re-evaluating my supplement usage lately and have pretty much decided that with a few exceptions most of them will not be replaced when the current bottle is empty. I’m fed up with 14 pills every morning (no including the stuff I have to take for my asthma). I’ve found from Fitday that I get pretty darn close to the RDA (while not necessarily optimum nutrition it’s a good starting point) on most things already (D being a big exception but I do my best to get that the natural way -weather permitting). I quit taking Multi-Vitamin Supplements completely since going primal. First of all, no matter which supplement I chose, there is always at least 1 to 2 things in there synthetic or it’s got some kinda soy in it or other plant derived bs, like black bean powder (fiber) for “healthy digestion”. My multi-vitamins are now raw liver, egg yolks, glass of raw goats milk, butter, lard and cod liver oil, and a fruit of the season. 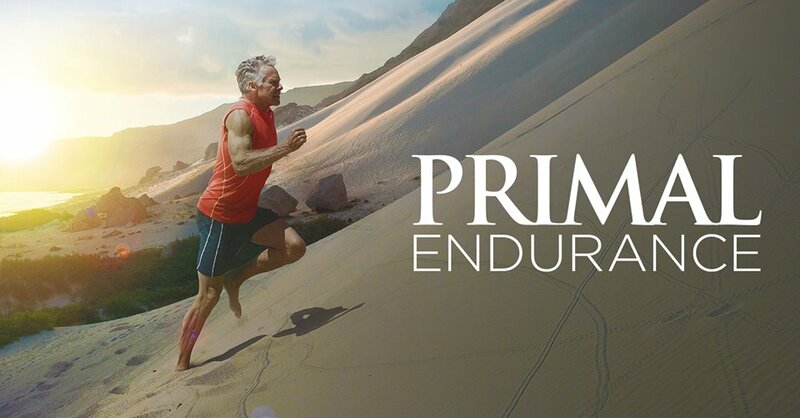 The primal blueprint diet is so healthy that multivitamin/mineral supplements are totally unnecessary. I used to spent so much cash on supplements, especially those that move bowels, it was ridiculous. Besides cod liver oil there is nothing I buy to supplement this ‘diet’. Dr. Perricone’s book “Forever Young” has some GREAT info on mitochondrial! 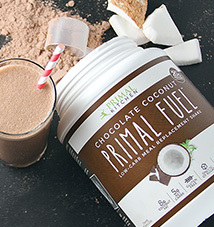 Primal Blueprint supplements are the BEST I have seen anywhere! The FDA loves to fear monger about supplements because they would love to ban them. Another thing about this study. Those who took supplements were also more likely to have poor diets and not excesize etc. etc It’s clear from the study that most were taking supplements to try to make up for a crappy diet and not excersizing. The FDA has nothing to do with this study. In fact, the FDA has voted time and again to not have authority over supplements. What are your thoughts on Juice Plus+ nutritional supplement? Seems to go along with your points on synergy – it’s “whole food” juiced and dehydrated, so you’re getting thousands of nutrients from 17 fruits and vegetables not just isolated man made vit/minerals (obviously I take it). Curious about your opinion on this. A lot of times those ‘vegetables’ are bean powder. Fruits is usually the peel only. They don’t waste good fresh fruit to make some ‘health supplement’. That’s just my experience though. Eat a tiny bit of frozen liver every day and it’ll be MUCH better than downing some insulin driven, probably high in fiber on top of it, ‘fruit and veggie’ supplement. Actually, JP+ is not beans, its the actual fruits, and its the most researched supplement on the market. Backed by many independent double-blind placebo experiments, conducted b major universities worldwide and published my major journals worldwide. I encourage anyone to research it, actual articles published right on JP website. I’ve been taking it for about 3 years. When my aunt introduced me to it and showed me the research, it made sense to me. Simple as that. If someone doesn’t like it or thinks it’s BS it, so be it, that’s their opinion. *shrug* I think it fits alongside a Paleo diet, which I eat as well. Is this the Juice Plus+ you’re referring to? Juice Plus+ is much more than a traditional vitamin and mineral supplement. Juice Plus+ provides whole food based nutrition, the nutritional essence of 17 different fruits, vegetables and grains in convenient capsule form. Yep, they are just trying to get their product’s name on this page to boost their search engine ratings. It’s spam. 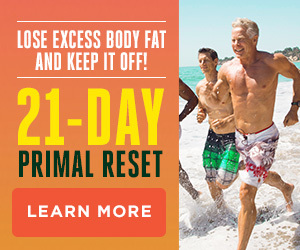 I’ve been incredibly successful with a primal lifestyle using the wonderful advice that Mark provides for free on this website, so I don’t really need a 21-day step by step guide at this point. 1) To thank and help compensate Mark for all his wonderful free advice on this site. Considering the low cost of the new book, it’s still an incredible bargain! 2) To help get the sales numbers up and increase visibility for the book so others can stumble on this information and be successful, too. Thanks for everything, Mark! Buying your new book is the least I can do. Buying the book will be my way of thanking Mark for all the free advice and the positive changes in my primal lifesytle . I already have his other three books, I quit loaning them out ’cause I don’t get them back! Me too! Mark deserves it – PLUS — FREEBIES!!! me 3!! I love loaning my books & sharing – sometimes it leads to someone getting their own copy. I got the last cookbook deal (by 2 get one free) & sent 2 out as (much loved/appreciated) gifts. Same here as the others above. I’m an RD, LDN and it should help me figure out how to offer PB in a gym/group setting (vs. one-to-ones I usually do). This information is REALLY needed and not so common here in the mid-west (many have not heard of Paleo/Primal/Ancestral Eating). My Superslow trainer has been arguing that for women walking every day + Superslow 1x p/wk is enough to give birth to the new mitochondria. She is strongly against the cardio for women. Do you have any insight or studies around this? I do take supplements, though I try to be selective about ingredients, forms of the vitamin, and fillers, as well as try to buy supplements that are made from whole foods. But, when I heard about these negative studies on the radio this morning, I was a little worried. Thanks for the dose of perspective and allaying some of my fears! The government spent $130 million on that study?!?!?!?! WTF!??!?! That’s complete BS. My tax dollars are going to that? To me, the study proves that we need to eat real food. It’s that simple folks. Sprints… I’ve done them 8 mornings out of the past 10. They are an absolute blast and it does not feel right when I don’t do them. For real! And, congrats on the new book Mark. Ay, do better? I think we can. Let’s get it to #1!! I’ll he helping ya out on my blog! Is the Primal Leap (30 days) that much different from the new book? I bought the leap a few months ago. Grayson, yes this is based on the new information in Primal Leap for sure, however, the Leap also includes cds, dvds, special detailed reports and some serious one-on-one online coaching support. Having said that, anyone who has purchased the Leap may call in and receive the 21-Day book as a free “upgrade” to the Leap. wow mark that is awesome that you would give that to me for free! Looks like i’ll have to buy a copy, get the free goodies, and give the extra to someone in need! These supplement studies are so ridiculous, I will take no value in them until they start providing more evidence and specifics in their studies. For example, what type/brand of supplements were being consumed? There’s so many out there (most of them are junk, water pills IMO). If they’re taking something like Centrum or One-a-day, forget about it. These shouldn’t even be on store shelves. A good supplement has to have some proven bioavailability (absorbtion rate). If it doesn’t then you have no idea if what you’re taking is being absorbed by your body. How do we know if these supplements were even being absorbed by the subjects? I just wish if they’re going to blast the supplement industry in general, they would do so with some studies that have more substantial evidence. More great advice. And flip flopping studies. Thanks for helping unravel everything for us. Looking forward to the new book!! Congrats!! Another good way of disposing of the aging mitochondria is via intermittent fasting which triggers the body’s system into some house cleaning and macrophagy. Combine that with a walk and a few heavy lifts then a Primal eggs and bacon and I should think you’d have the ideal combination! Wow, thanks for educating me! Now I have yet another reason to IF 🙂 No wonder it feels so good! They used synthetic vitamin E (alpha tocopherol) in the prostate cancer study. Synthetic alpha tocopherol is made from petroleum. Petroleum has been associated with prostate cancer. Four years before the study began in 2001; researchers at the University of Michigan showed gamma tocopherol was the tocopherol of choice for preventing prostate cancer. The researchers should be ashamed of themselves. Thank you for clarifying that it was the synthetic Vitamin E that was used in the study. I hadn’t had the time to review the study. The public doesn’t realize that most researchers use synthetic forms when doing these kinds of studies. The suppliment industry may have known about Vit E but they NEVER told us that taking alone, it may be dangerous. Yes we needed a third party (OUR gov’t) to tell us. and the cost was a drop in the bucklet compared to the national budget, besides plenty of people earned a few bucks that were not weapon makers. Too bad the gov’t rules with an iron fist and never wants to admit they might have made a mistake. So, if my sprinting routine is to have full recovery between sprints should I not be doing Tabata sprints but some other sprints instead? I’m wondering the same thing too. Thanks Mark ( et al ) for putting this all in a format we can all enjoy. Glad you addressed the vitamin study. DH came to me over the weekend and said, “See? CNN just said that women will die sooner if you take Vitamin E and also taking too many minerals will cause health problems. I told you vitamins are bad for you.” I thought to myself, ‘Well, I wonder what kind of study was done, was it thorough, double-blind, who funded it, and so on…’ Two years ago I wouldn’t’ve thought to question things like that. Thank you, MDA! Stumbled onto this site about 6 weeks ago- life changing is all I can say. I owe a debt of gratitude to Mark, and I will be on Amazon bright and early tomorrow for the new book. I love the thought provoking posts on this blog! 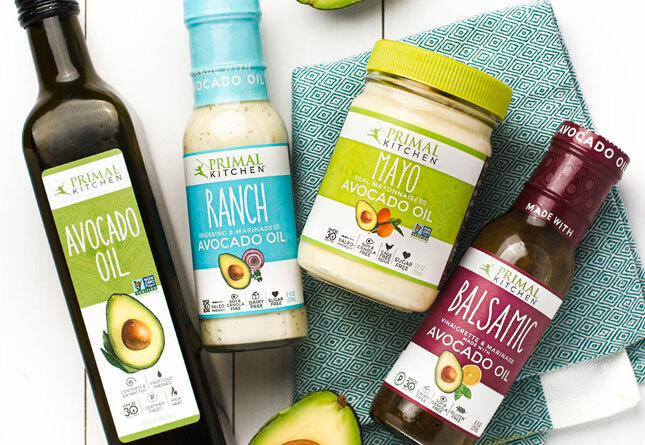 I’ve been about 80/20 Primal for 2 months and feel awesome! I take an organic whole food multi-vitamin 1-2 times per day for a boost, even though the daily dose is 4 capsules. But through the Primal Blueprint I’ve learned to see my food as fuel and if it’s not contributing nutritionally then why am I bothering with it? Especially when primal food is so delicious. For example, my work breaktime peanut butter cups have been replaced by an organic trail mix of cashews, almonds and cranberries with a few dark chocolate chips thrown in. Yum! I cheated and had the old standby (you know, the orange package) a week ago-Yuck! And nutrients-Nope! Does the offer apply to The Book Depository? I find they have less trouble delivering to Bulgaria than Amazon. Hmmmm. I pre-ordered my book a while ago from The Book Depository, and it arrived last week. Was that not supposed to happen? I really loved how you broke down both studies on the vitamin issues. It really cleared up how vitamins, minerals and antioxidants work in a synergistic fashion. I’m a big fan of your books! Can’t wait to read the new one. What do you think about taking vitamin B? Seems to be a the craze in the energy supplement world. 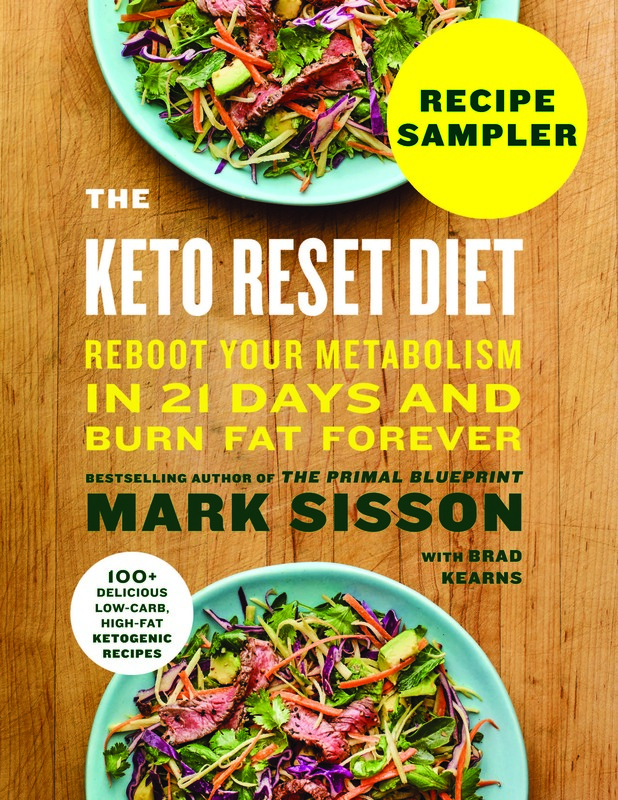 I requested an order for The Primal Blueprint at the library since I can’t download the pdf, I hope it comes soon and maybe other people will read it after.